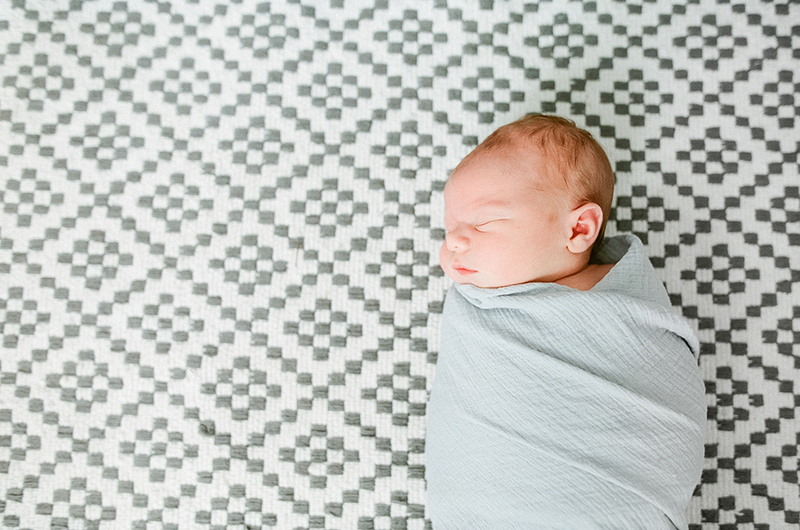 There is nothing sweeter than a newborn and in-home newborn sessions have my entire heart. 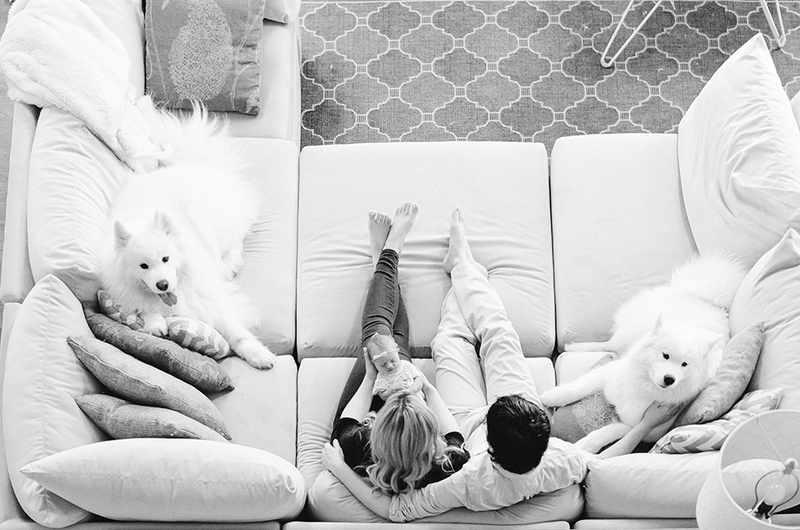 There’s just something so magical about those first few days at home as a new family. As a photographer, I am always so honored to have the opportunity to capture these fleeting moments. My goal with all of my sessions is to provide my clients with a glimpse of how precious and wonderful their life truly is. 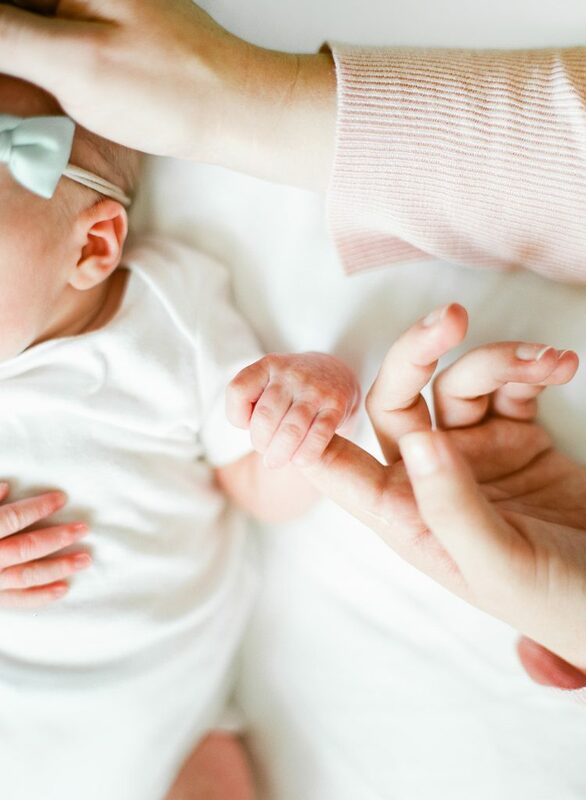 Sure, the baby may be crying and mom might be a little stressed about the whole situation, but the underlying feeling is one of love and contentment and those feelings are always the ones I try to pull out of a session. I also try to provide my clients with a gallery of unique images and detailed captures that show this certain stage of their life. Today, I thought I would share some ways to think outside the box when photographing lifestyle newborn sessions. Varying perspective and shooting from above a scene is a wonderful way to show a room and capture different elements that you may not normally see from a straight on perspective. For images from above, I always grab a chair or stool to try to secure myself and make sure I am able to fully photograph the different aspects of that scene. Capturing a sleeping baby in a crib from above allows you to see how tiny the baby truly is and how those little legs and arms just want to stay tucked in close to the body. 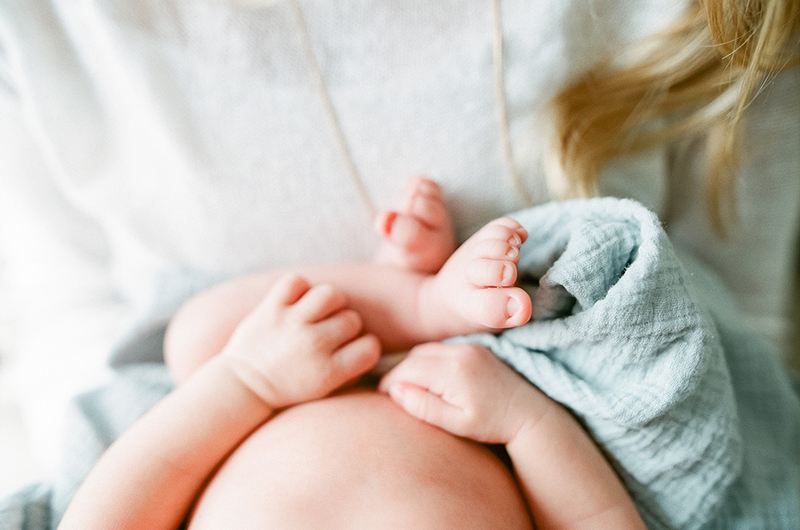 Shooting from above is also a wonderful way to capture those teeny tiny baby details, like hands and feet. Along the lines of varied perspective, using different focal lengths on your camera will help create a unique and diverse gallery for your clients. Wide angle lenses (like the Canon 24mm 1.4 II) are great for smaller houses or tighter spaces. I like to use my wider angle lenses to shoot from above to really include the entire scene in my sessions, as well as from the doorway of the nursery to capture the room and details. Since getting the nursery ready for the baby was likely a big and joyful project for the parents, I always make sure to include images of the nursery and all the beautiful details. But that doesn’t mean you just have to take a few snaps of the crib or tiny toys. I try to get creative when shooting in the nursery and look for ways to add some creativity to my client galleries. Some of my favorite shots are double exposures of the baby and artwork/paintings from the nursery, capturing the family together loving the baby in front of the crib or gliding chair or a wider angle shot of the baby sleeping peacefully in the crib. Wider shots are amazing, but I always make sure to include close crops and detailed shots in my newborn galleries. 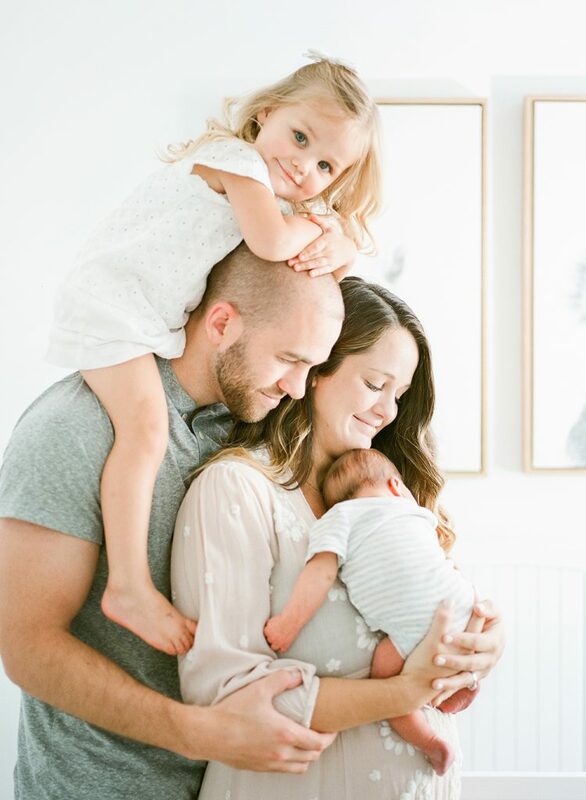 I usually focus on the sweet baby’s hands and feet or mama and daddy loving on their new baby. Don’t be afraid to get in close to your subjects. Just be mindful about where you are cropping heads, arms and legs and make sure your crop is intentional. I mean, what’s cuter than seeing a sleeping baby snuggled up on mama’s chest? 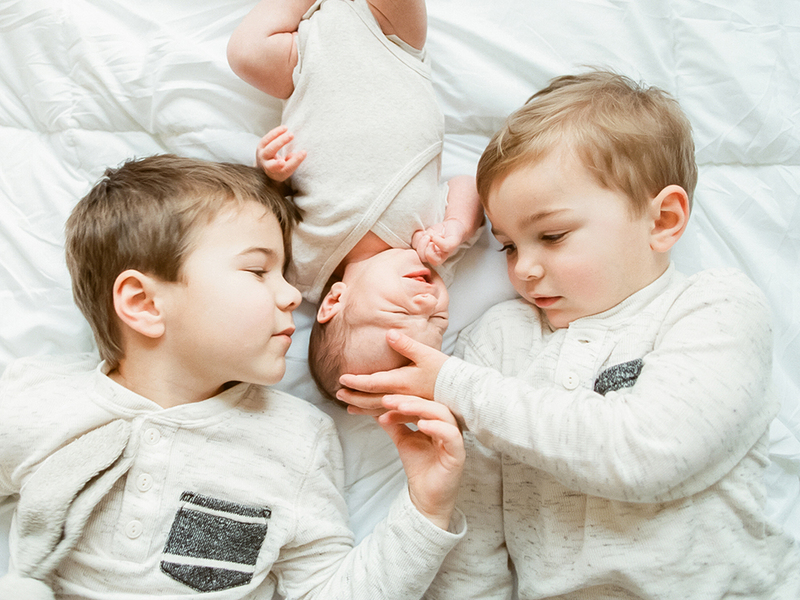 The majority of my newborn sessions include older siblings and if you’ve ever shot a newborn session with an older sibling, you probably know how crazy those sessions can sometimes feel. I’m a big proponent of letting kids be kids while encouraging or guiding them into my shots. Older siblings usually LOVE getting into the crib with the sleeping baby and this typically leads to some super cute snuggly shots of the two little ones together. Sometimes they like to pull all their toys in UNDER the crib and I roll with that too. Being flexible is definitely key to managing sessions with older siblings! Newborn sessions are precious and all of these moments will be so very treasured as that sweet baby grows and life changes. Thanks so much for hanging out with me today and I hope these tips and tricks will help you at your next newborn session! 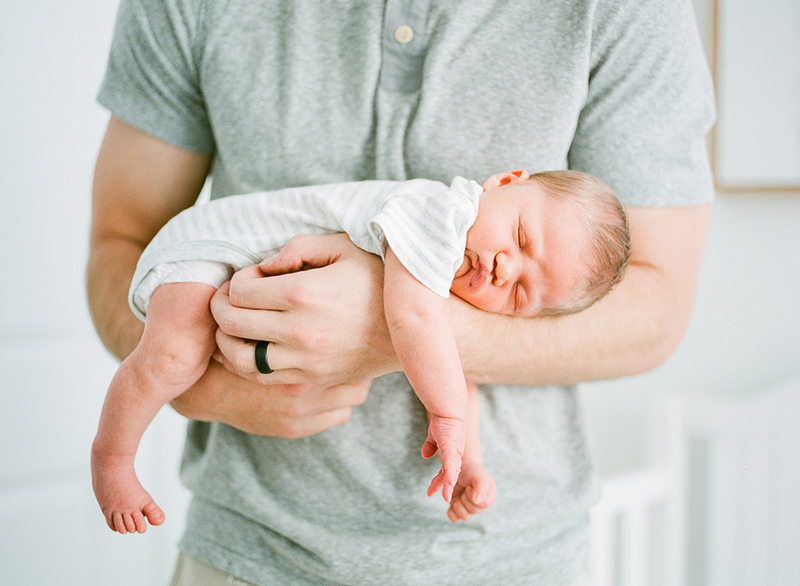 Stephanie Bryan is a family + newborn photographer and mentor based in Raleigh, NC. 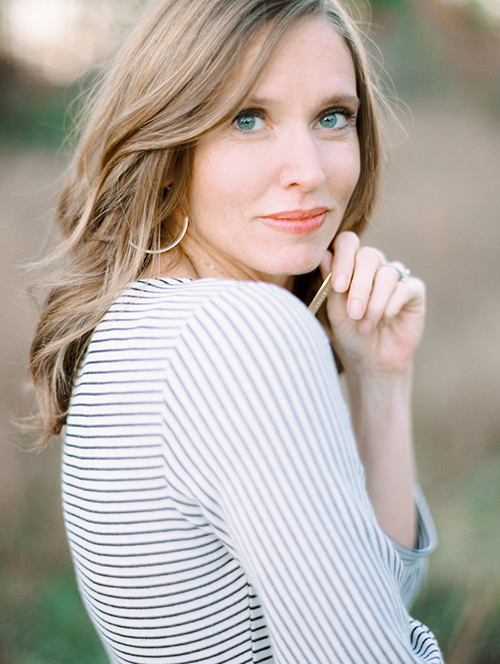 She is passionate about capturing and preserving the love and connections of others. Visit her website here. If you’re looking for a way to hold onto the best moments from your shoot, check out our pocket-sized photo brag books. Previous Previous post: Travel with Kids: Washington D.C.